Michelle is an outstanding teacher and coach who provides ongoing one-on-one coaching services to..
What a powerhouse Michelle is. From the point I walked into the room and shook hands with her until..
Michelle handled a demanding audience of CEO's, CIO's, and Fund Managers with energy, humor,..
Michelle was energetic, informative, put humor into her presentation and kept us involved as an..
Michelle immediately lit up the room with her energy and ability to connect and relate with the..
Saying Michelle was phenomenal is an understatement. Her talk was packed with both great insights.. Her comfort in who she is, coupled with her dynamic personality and precise communication style have.. THANK YOU! Everyone loved you — I'm getting really good feedback about the evening and your..
You did an outstanding job of addressing the specifics we requested and accomplished that in a very..
Michelle Tillis Lederman, PCC, author of The 11 Laws of Likability and Heroes Get Hired, is the founder of Executive Essentials, a training company that provides communications and leadership programs, as well as executive coaching services. Michelle specializes in teaching people how to communicate with confidence, clarity, and connection. With Michelle's help, a top level executive at CNH Global learned to provide clear and actionable feedback to improve his authority within his team. She also helped him to develop his public speaking skills to enhance his confidence and engagement during presentations. At J&J, Michelle coached a rising manager to shift organization perceptions of his abilities and improve his executive impact. This all lead to increased opportunities and exposure to upper level management. Michelle has coached and trained hundreds of business people to create a positive professional presence, to open up higher-paying and more visible opportunities for themselves, to execute polished presentations and to thrive in happy work environments. According to Michelle's coaching clients and training attendees, her energy and content are unmatched. Michelle’s has appeared on CBS Money Watch, Fox 5, and over 75 radio shows across the country including; Gayle King, NPR, and Martha Stewart Living. She has been quoted in the New York Times, The Star Ledger, Working Mother, US News & World Report, on MSNBC, and Monster.com among others. Her book, articles, quizzes and videos have been featured on USA Today, AOL, Forbes, CNBC, and About.com. Michelle serves as faculty at NYU’s Stern School of Business and the American Management Association. She received her BS from Lehigh University, her MBA from Columbia Business School, and her coaching certification from iPEC and is accredited by the International Coaching Federation. 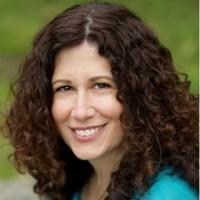 Michelle is certified in Myers Briggs (MBTI), Whole Brain (NBI), Social Styles, Thomas Kilmann (TKI), and others. A few keep concepts will help you here: Empowerment, Engagement, and Understanding. - Determine with them the need and partner with them on solutions. I use a four part conversation model that engages the DR in the conversation. ASK: Start with a questions about the situation. See what they know and think. ELABORATE: Add your thoughts or perspective on the situation. Provide additional details so they have a full picture. EMPOWER: Ask for their suggestions on how to solve the problem. Probe with curiosity. Pros and cons - as always. You did an outstanding job of addressing the specifics we requested and accomplished that in a very engaging and energetic manner. The analysis of personality types and their effect on sales opportunities was especially helpful. Michelle is amazing! Her talk was insightful, funny and thought provoking. THANK YOU! Everyone loved you — I'm getting really good feedback about the evening and your talk…and women are responding that they have already implemented your tips. Thanks for making the evening so special. Her comfort in who she is, coupled with her dynamic personality and precise communication style have always had Michelle stand out as a leader in every room she enters. She is highly engaging and can very quickly relate to a variety of situations and audiences. In tandem with these – I have found Michelle's commitment to being prepared, and her drive to ensure an "exceed all expectations" outcome, most admirable. She is undoubtedly a subject matter expert in her field of communication. However, her value is best experienced through her ability to use her instincts, life experience, and deep understanding of the corporate environment to create very "real" and relevant outcomes. Saying Michelle was phenomenal is an understatement. Her talk was packed with both great insights and practical, meaningful tips. She's the kind of speaker I couldn't take my eyes off… she had an energy that not only inspired the audience during the talk, but continues to inspire us long after. Michelle immediately lit up the room with her energy and ability to connect and relate with the audience. She's an outstanding balance of motivation, empathy and professionalism. Michelle was energetic, informative, put humor into her presentation and kept us involved as an audience. Michelle handled a demanding audience of CEO's, CIO's, and Fund Managers with energy, humor, professionalism, and spontaneity… The talk was absolutely great. What a powerhouse Michelle is. From the point I walked into the room and shook hands with her until I left I couldn't stop listening. I appreciated her wit and humor, it was like listening to a friend. I highly recommend her if you are looking to inject energy and purpose into your organization! Michelle is an outstanding teacher and coach who provides ongoing one-on-one coaching services to faculty and PhD students including class observation, advice, and counsel in the areas of pre-term planning, within-term problem management and opportunity development, and classroom presence coaching. She has always received outstanding feedback and I enthusiastically recommend her.